Just to the east of Blackheath station, behind the shops in Tranquil Vale is a car park with steps at the rear, locals use it as a cut through between Blackheath Grove and Wemyss Road. To the south of the car park there are a few architecturally nondescript looking 1960s shops, a restaurant, and a building that used to be a library but was closed a few years ago and is now a private school. 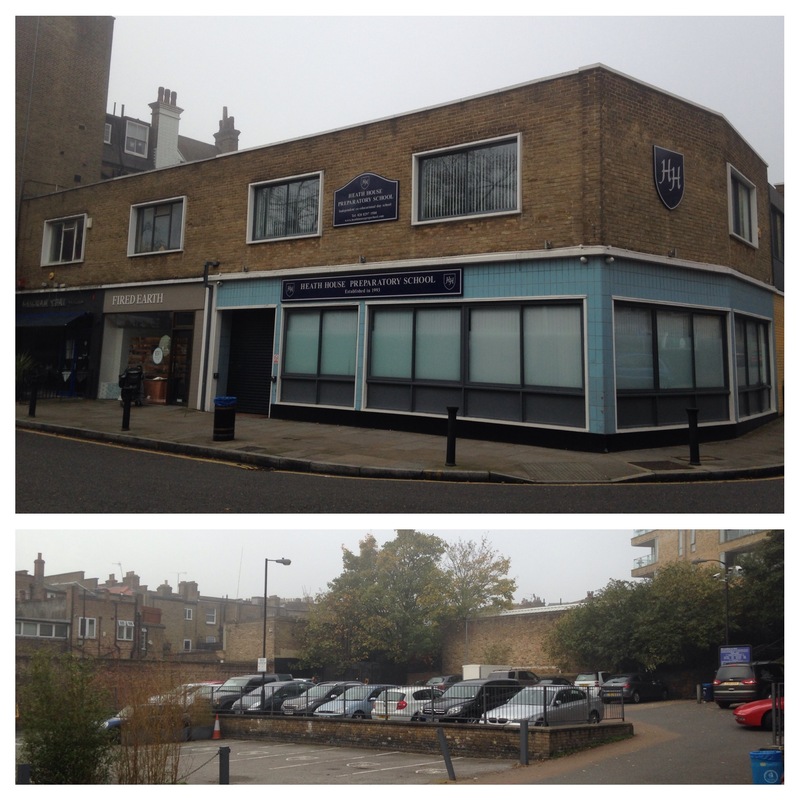 Until a Thursday afternoon in March 1945 it was home to one of the dominant features of the the pre-World War 2 Blackheath landscape – a Methodist chapel. At 12:06 on 8 March 1945 the last V2 rocket to hit Blackheath landed on the Methodist chapel, completely destroying it and causing significant damage to the rest of the Village (1). The rocket had been fired from the Dutch capital; battery 485 was moved around Den Haag regularly to reduce the likelihood of itself being a target. That fateful morning it was based in Statenkwartier, close to the upmarket coastal resort of Scheveningen, presumably hidden in the extensive sand dunes or the woods behind then. The battery continued bombarding London and the south east for almost another three weeks until German forces retreated in the face of the Allied advance, this included an attack on Deptford Creek nine days after the Blackheath attack. 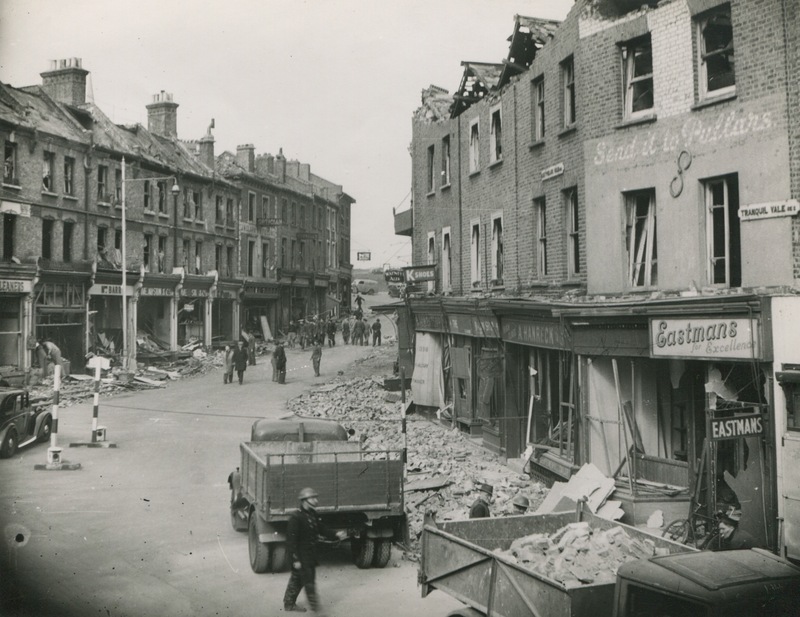 Given the timing and scale of the damage, it is perhaps surprising that there weren’t more deaths; of the five who died, four, all women died at the scene or very soon after (2) including three who lived within a half a mile of the blast – Daisy Denny (Foxes Dale), Alice Drain (Pond Road) and Eve Taylor (Lee Road); Eve Leibe lived a little further away in St Mildred’s Road. The fifth fatility was an ARP Warden, Albert Brown, who had lived at Eliot Hill (3). There were also 134 non-fatal injuries. 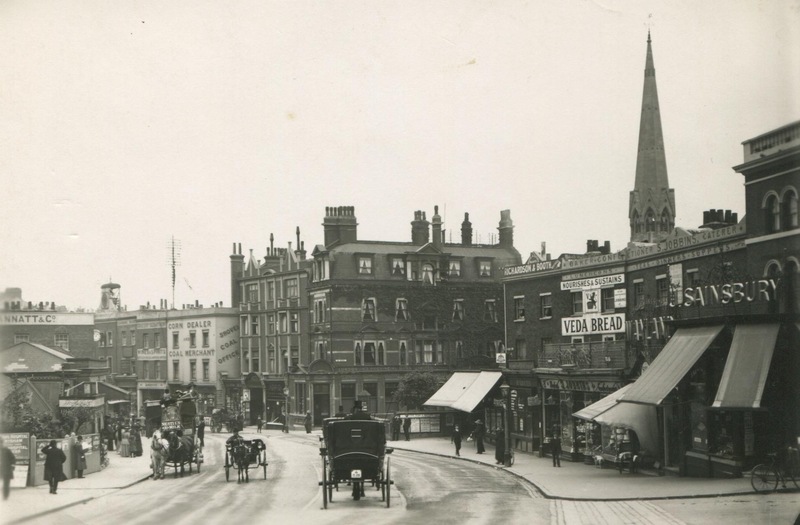 Methodism had a strong history in Blackheath; the blog has covered preaching by both Whitefield and John Wesley from Whitefield’s Mount in the 18th century. 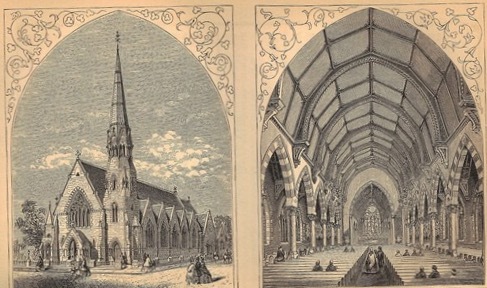 The chapel itself was opened in 1864 and was designed by James Wilson (1816 – 1900) of Bath who had certainly designed a number of Gothic style Methodist chapels elsewhere in London – including in Poplar, Westminster, Islington and Clerkenwell. It was described by the Illustrated London News (4) as being ‘in the Decorated or Middle Pointed period of Gothic Architecture, and built of Kentish ragstone, with Bath dressing. The interior is lined with freestone, no plaster being used in any part of it.’ It was built to seat a congregation of 969; although by 1940 this was reduced to 830. 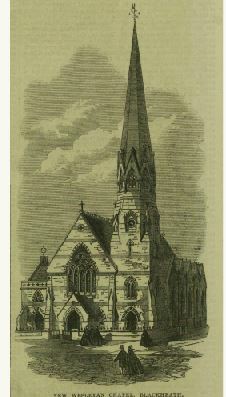 It had a 120 ft tower and spire (5) which, until its destruction, was a prominent feature of the Blackheath landscape. This entry was posted in Blackheath History and tagged Blackheath, Blackheath Methodist Chapel, James Wilson - Architect, Lost churches, New Wesleyan Chapel - Blackheath, V2 Blackheath on February 24, 2016 by Paul B.